In stock 201 items in stock. 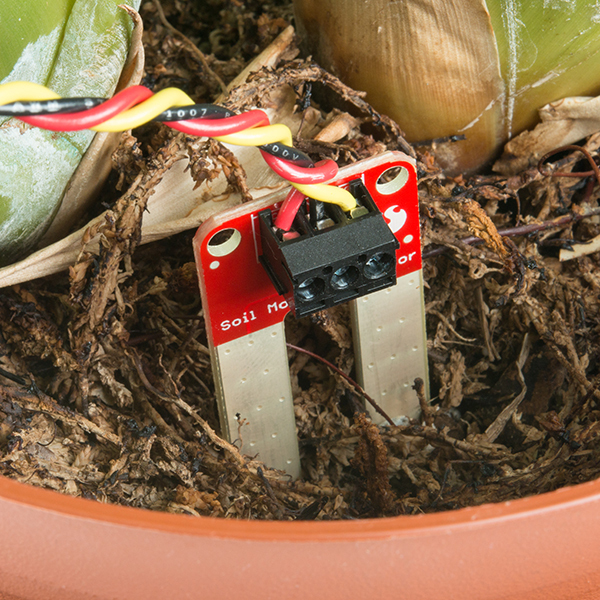 Set up your Pi to automatically take care of a house plant by reading a moisture sensor and watering when needed. Wouldnt this device with its current over the terminals make the water sour? By sour do you mean does the electricity alter the pH of the water? This probe acts as a voltage divider, so there is no current flowing across the probes, only through them. The probe itself should not be a problem. The gold and copper are fine for the plant, and the fiberglass is inert. Leaving the device on all the time can corrode the exposed PCB probes. However, it is suggested in the Hookup Guide that you not leave the probe on all the time and only power it when you want to take a measurement. This same method should result in the current flow not having any affect on the water composition. And even if it did, it shouldn't be enough to affect the plant's health as water would be replenished frequently enough to negate any side effects. Hello, I am using this part since a couple of weeks. I am tetsing it with my plant and I am suprised to see some stange value (if it is). First I mesure the value with the sensor outside of the soil. It return me something like 12. The I insert in glass of fully dreid soil. It return me a value of 860. Then into a soil humid. It return me something like 700, and a soil dry. Instead of a value close to 100 or below 300, it return a value of 700. Then I tried with my plant. I gave to my plant a lot of water and then inserted the sensor into soil for one week. At the begining, the sensor return me a value of 779. During the week, I expected to see the value going down, but not. Now the soil is fully dried and the sensor return me a value of 650. It's strange because it should print a value below 300. 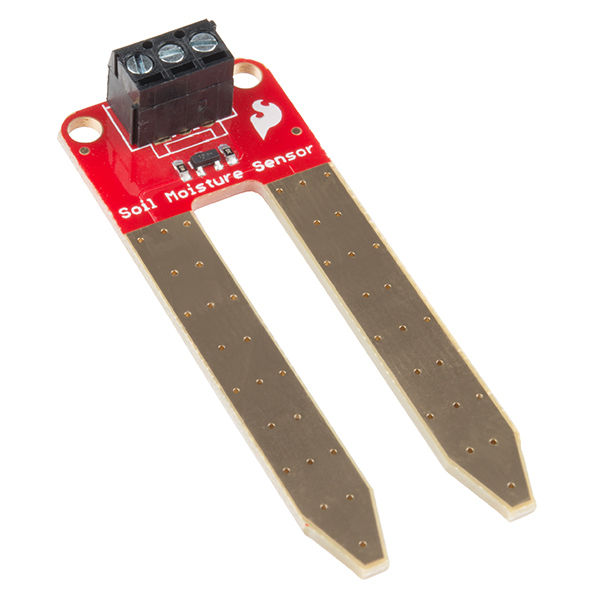 If I remove the sensor from the soil, it print me a value of 12. I do not understand when the soil is fully dried, I do not have a value below 300 or around 100. 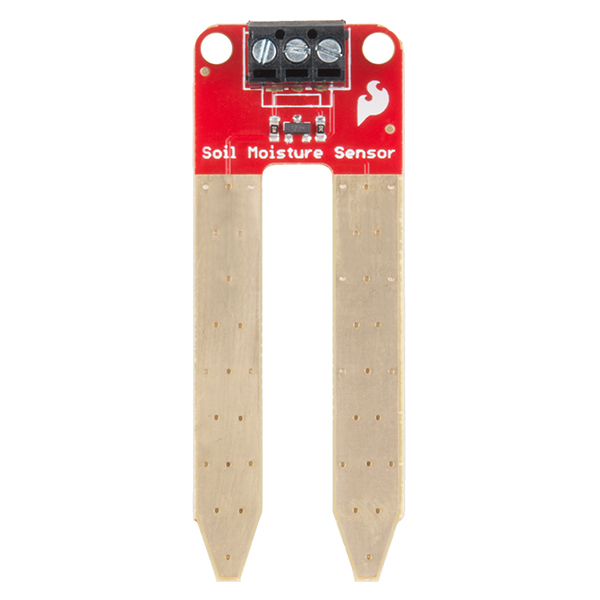 Sorry to hear about the trouble with the moisture sensor. Have you reached out to our technical support department? 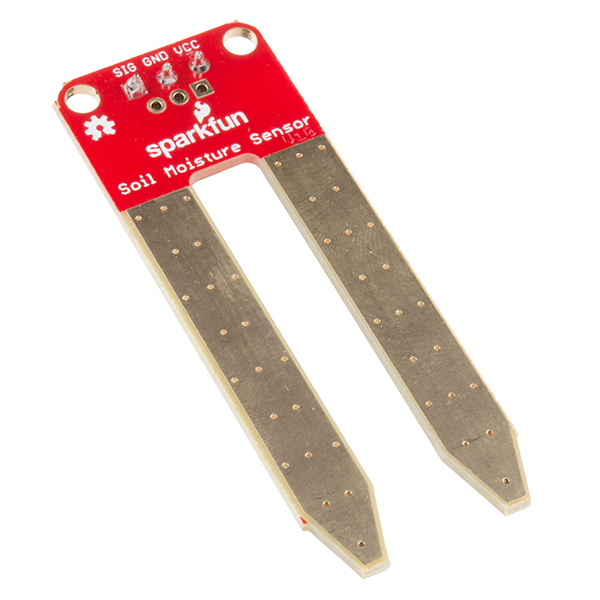 They can be reached at techsupport@sparkfun.com - they're usually very good at helping make sense out of abnormal readings. 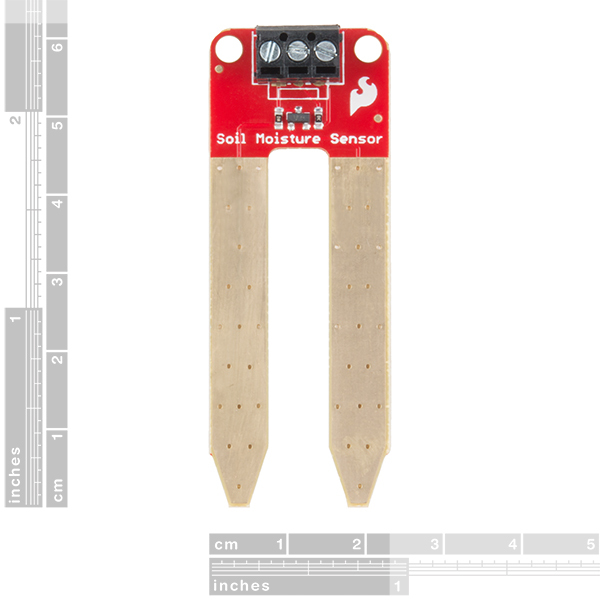 Easy to use and gives better readings than similar-looking sensors from other suppliers. The documentation is excellent and easy to follow.